It was a sad gloomy day (despite the blue sky) this afternoon in Milan as the city gathered in the church of its protector (Sant’Ambrogio) to say the final good bye to one of his last rocker-comedian-intellectual. 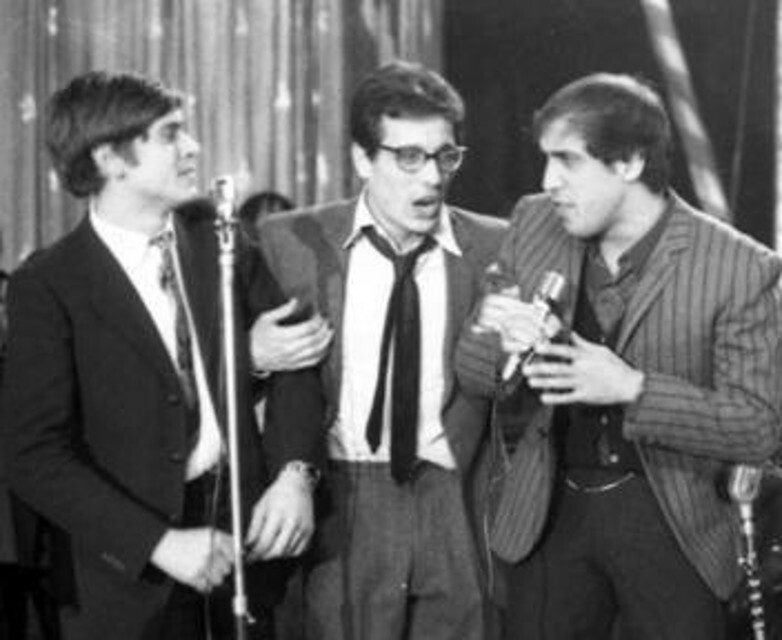 Enzo Jannacci, born in 1935 has passed away on March 29th aged 77 and during the economical boom years that followed WWII he was probably one of the first (indie) rockers in Italy. I grew up with his songs in Milanese dialect that painted in words a world that we couldn’t know and despite he supported the wrong football team (AC Milan) I will miss him. Ciao Enzo, bring some rock’n’roll with you in heaven, and remember to always wear those tennis shoes. ← NASTY TUESDAY! The Indie Rock Weekly Survival Kit! You can’t judge a band by looking at their age!